Vinyl is an incredibly durable material, and it holds up well to water exposure. 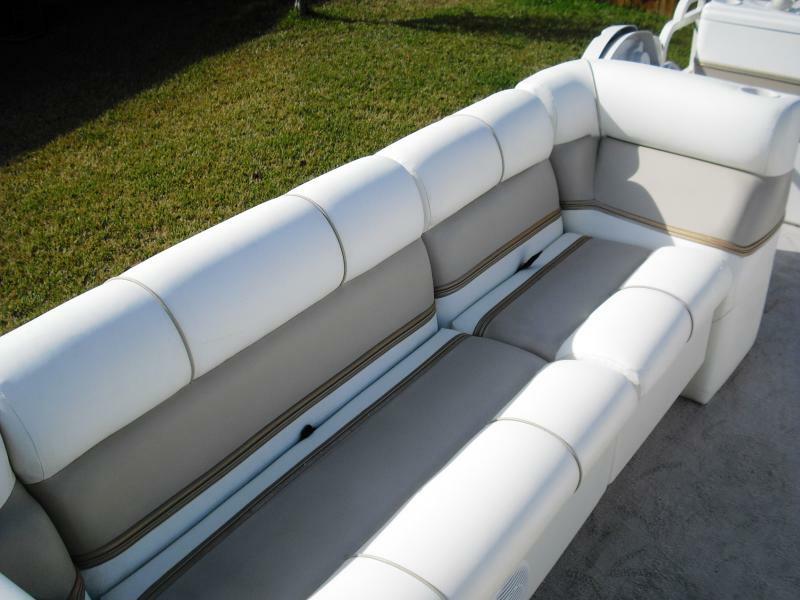 Because of its durability, the vast majority of cushioned boat seats are made of vinyl. While vinyl is designed to hold up well to wear and tear, it does have its limits. Time itself can take a major toll on vinyl if you don’t care for it properly. It is important to clean your vinyl well on a regular basis, not just with water, but with a vinyl cleaner. Keep your boat seats squeaky clean! Cleaner: All marine stores sell commercially made vinyl cleaners. We recommend using one of them on your vinyl seats. Many people attempt to use other household cleaners they think will save them a little cash, but, cleaners designed specifically for vinyl are better for your seats. For example, many people try using bleach, but it is too harsh for vinyl and will cause it to break down over time, becoming more easily damaged by every day wear and tear. With bleach, you also run the risk of bleaching any fabrics nearby or carpeting on your boat. Water: Use clean, fresh water to clean your seats. Distilled water is best because it lacks impurities that will stick around on your seats after you finish cleaning. If distilled water is not available, be sure to at least use tap water over lake, river or salt water. The dirt and minerals found in bodies of water will, like the small particles of dirt on your seats before you clean them, wear down your seats like fine sandpaper. While it might get any visible dirt off your seats, it will damage them in the long run. 1. Use clean water on a damp rag to wipe any visible dirt or mess off your vinyl seats. 2. Put a little vinyl cleaner on a clean, damp cotton rag. 3. Gently wipe all vinyl surfaces in your boat. Be sure to cover all areas, especially those that are used regularly and wipe away any excess cleaner. Remove tree sap immediately. Sap from overhanging trees can sink into your seats, even through tiny holes in boat covers. The heat from the sun can melt the sap into the vinyl. So, when taking your boat out, check for sap spills and wipe them up quickly with a citrus-based cleaner. If you need something stronger, try methyl hydrate, and always be sure to test all products in an inconspicuous place before using in an eye-catching place. If you have mildew, don’t just let it sit on your seats. Before long, it will start to smell bad and will break down your vinyl seats. To get rid of mildew, use a mold killer and cleaner – you can buy them at any gardening store. If you have had particularly good luck with a vinyl cleaner or have any good tips, share them with other readers in the comments!